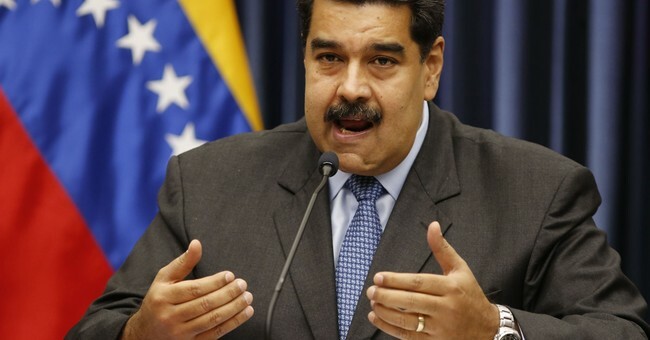 UPDATE: Maduro says he's ending all relations with the United States and is kicking out all diplomats within 72 hours. President Donald Trump and Vice President Mike Pence officially recognized Juan Guaido as the President of Venezuela Wednesday. As a result, the United States no longer recognizes dictator Nicolas Madura as the country's leader. Brazil, Canada, Colombia and others have joined the U.S. in recognizing Guaido. Yesterday Vice President Mike Pence indicated the administration would be making this move after speaking directly to the Venezuelan people about their ongoing plight. Maduro, who is an avid Twitter user, hasn't responded. Last year he accused the United States of trying to kill him with a drone at a rally.